My clients are my bosses. Experience Years of translation experience: 39. Registered at ProZ.com: Aug 2000. Became a member: May 2004. Professional practices Henrik Pipoyan endorses ProZ.com's Professional Guidelines (v1.1). Freelance translator, Yerevan, Armenia. Work with companies and government agencies in Armenia, Russia, US, UK, Australia, Canada and elsewhere; compile an Armenian-English Dictionary; 1998-present. Vice President, Biayna, Ltd., Moscow, Russia. Conducted daily correspondence with foreign companies; composed and translated letters, contracts; etc., headed negotiations with foreign partners; 1994-98. Office Manager, United States Department of Agriculture’s office in Yerevan, Armenia. Managed office staff, hired translators; held meetings; translated fact-sheets, agreements, projects, etc. ; 1990-94. Chief Editor, Central Administration of Mass Media, Yerevan, Armenia. Reviewed and translated books and articles in Eastern and Western Armenian, Russian, English and French; 1985-90. 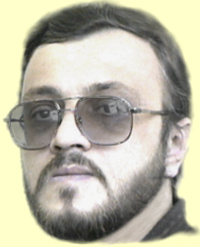 Graduate of Yerevan State Linguistic University; 1980-1985. MA in Linguistics. Intensive English Course in Great Britain, English Proficiency Test: Level 9, London, Brighton; 1992. Cochrane Fellowship Program in the US: Oklahoma, Arkansas, Utah, Colorado, Nevada, Washington, D.C.; 1993. Expert user of MS Word, QuarkXpress, InDesign, MS Excel, MS Front Page, Corel Draw. Science and Technology in Armenia, US National Academies (English-Armenian), Washington, DC, 2004. Hardware: PC Intel Core2 Quad, Q 9300 @ 2,500 GHz, RAM – 2 GB, HDD – 1,000 GB. Software: MS Office XP, QuarkXPress 6.1, InDesign CS, Acrobat 8.0 Professional, Corel Draw 12. 7 days per week, from 11 a.m. until 11 p.m., Armenia time is GMT+4.